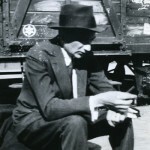 Tuesday, January 10, 2012 6:30 pm A panel including translator Michael Hoffmann Robert Weil, New Yorker fiction editor Willing Davidson, the author and record producer Anthony Heilbut, and author Fran Lebowitz discuss one of the greatest voices in 20th century German literature. Friday, January 20, 2012 11:00 am The Gestapo, the SS, and the Reich Main Security office were once housed in the same building just steps away from Potsdamer Platz in the heart of Berlin. Today a permanent exhibition documents apparatus of Nazi persecution. 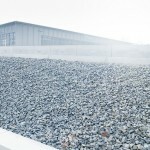 Dr. Andreas Nachama, director of the “Topography of Terror” foundation, will discuss the exhibition’s new permanent home as well as an exhibition coming to the UN. Thursday, December 15, 2011 6:30 pm Professor Jonathan Steinberg is the author of the highly acclaimed new book Bismarck: A Life. 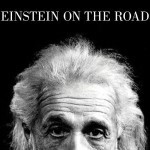 Steinberg describes the political genius of the man who dominated his era. 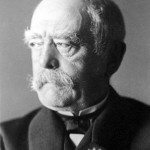 Bismarck’s belief in Prussia’s cohesion and authority, and in a nationalism that could be put to good use, ultimately led to Germany’s tragic 20th century. 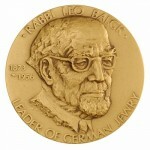 Monday, December 12, 2011, 7:00 pm German Foreign Minister Guido Westerwelle will award the Leo Baeck Medal to Anselm Kiefer and bestow a special honor on Dr. Henry A. Kissinger. The presentation will take place during the annual Leo Baeck Institute Gala Award Diner at the Waldorf≈Astoria in New York. 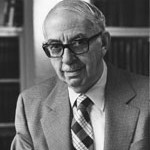 Thursday, November 10, 2011 5:30 pm at Hebrew Union College Michael Meyer will discuss the life and work of Dr. Fritz Bamberger, a noted German-Jewish scholar and specialist in Jewish intellectual history. After Hitler’s rise in Germany, he organized at great personal risk a system of schools from kindergarten to college for Jewish students expelled by the Nazis from public schools. 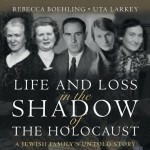 Tuesday, November 1, 2011 6:30 pm The authors of Life and Loss in the Shadow of the Holocaust (Cambridge University Press, 20011) will present their new book at Leo Baeck Institute. A family’s recently-discovered correspondence provides the inspiration for this fascinating and deeply-moving account of Jewish family life before, during and after the Holocaust. 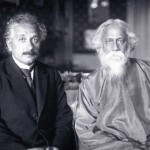 Sunday, November 6, 2011 6:00 pm Leo Baeck Institute and The Asia Society present a lecture by Paul Mendes-Flohr about the fascinating relationship between German-Jewish intellectuals Albert Einstein and Martin Buber and the Bengali Poet Rabindranath Tagore. 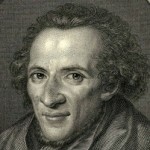 Sunday, September 18th A day of discussion and debate devoted to exploring the wrings and legacy of Moses Mendelssohn, the 18th-century founder of modern Jewish thought. A group of international scholars will highlight recent scholarship related to contemporary issues in religion, secularism, politics, culture, language and identity. 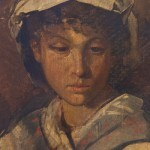 Tuesday, October 4, 2011 6:30pm Leo Baeck Institute and the American Council on Germany present a panel featuring three experts that represent a wide-range of domestic and international interests in connection with the recovery of Nazi-looted art.